Crowdsourced Q&A sites like Quora have certainly gained popularity over the years, but arguably non have been propitious as Stack Exchange. What debuted in 2009 as a computer programming question-and-answer website has grown into a network of more than 120 communities covering a diverse range of topics, from writing to cooking to job searching. And starting today, it’s all browsable via the official Stack Exchange app for Android. 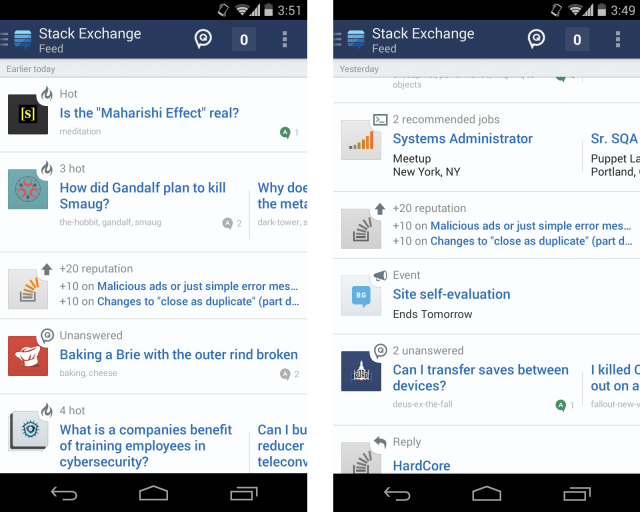 To unify the disparate Stack Exchange communities, the team created an entirely new feature exclusively for mobile. 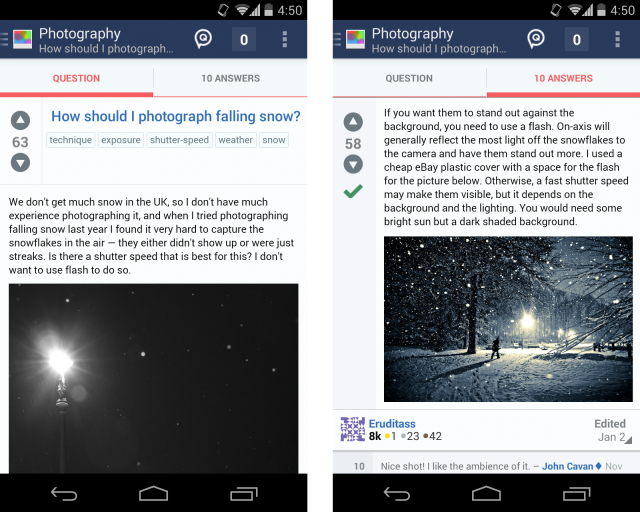 Dubbed The Feed, which kind of looks like a Facebook timeline, you can customize the questions that appear based on the communities and tags you follow, see questions tailored to your interest that will intelligently improve over time, and receive updates when you get upvoted or your answers get accept. In addition, all message replies are viewable, and you can see events, blog posts, and recommended jobs from the Careers board. The app also includes the standard array of Stack Exchange features, like question searching, answering, commenting, voting, and flagging. It’s available from the Play Store for smartphones running Android 4.0 and up, and the team says to expect a version optimized for tablets in the future.